2019 TBVVL Week #2 recap! Defending Champ Allen remains unbeaten while Plano West & Keller move up the standings after going 3-0 this weekend. 2019 TBVVL Week #1 recap! Defending Champ Allen and Wylie start off the season undefeated with 3 wins each while Plano West, Keller, Flower Mound and Jesuit only drop one match each. 2018 TBVVL Championship is Thursday, May 24th! Allen Eagles will host Rockwall Yellowjackets! Location: Allen High School 300 Rivercrest Blvd. 2018 TBVVL Week #4 - 2 sites, 15 matchs, biggest boys HS tournament to date! 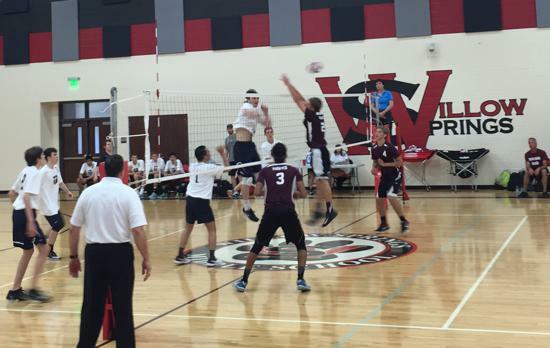 Allen, Jesuit & Rockwall each take a game from each other and Wylie notches their 1st W! Prosper & Flower Mound go undefeated at the other site as they prepare for the playoffs. Defending Champ, Allen goes undefeated this weekend beating previously unbeaten Jesuit to remind the group they're back while newcomers, Reedy & Lovejoy notch their 1st wins of the season. 2018 TBVVL Week #2 - another successful weekend! Flower Mound & Coppell stand out going undefeated while newcomers, Wylie & Lovejoy are now match ready. 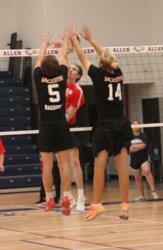 Rockwall blocks Allen in 1st match! 2018 TBVVL Week #1 in the books! Jesuit jumps to the early lead while last year finalists Allen & Prosper stumble losing key Seniors last year. 2017 TBVVL Championship is Thursday, May 18th! Allen Eagles will host Prosper Eagles! April 8, 2017 (Addison, TX) - The 2nd week of the 2017 TBVVL Season was short and sweet but not without some exciting 3 set matches to conclude the day. Prosper came into the final match of the day against Allen Blue undefeated while Allen Blue's only previous loss was against Red Oak the week before. And this one was anticipated to be a close one. Prosper squeaked out the first set (25-23) with a timely kill by Senior, Blake Parrish to close out the set. But Allen Blue fought back and secured a (25-20) 2nd set win pushing the match to the 3rd and deciding set. Allen Blue pulled away after the switch at (8-6) and never looked back winning easily (15-7) to pull 1/2 game ahead of Prosper & Red Oak for 1st Place. In the other final match of the day, Rockwall managed to get their 1st win of the season squeaking out a 3 set back and forth match against fellow newcomer Uplift Prep (22-25, 25-23 & 15-13). Uplift earlier beat Allen White to pick up their 1st win of the season (25-16, 25-21). Next tournament weekend is April 22nd in Addison. 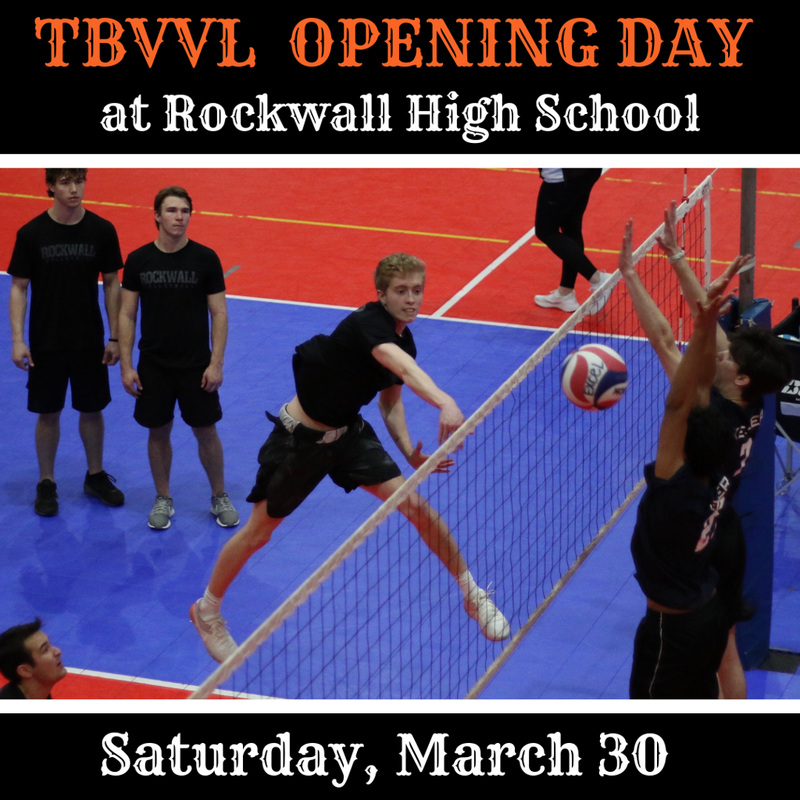 April 1, 2017 (Addison, TX) - The 2017 TBVVL Season started today with 9 total matches on the 1st weekend of play. Four returning TBVVL teams and two new teams started battling at 9AM. Almost 11 months ago, Prosper and Red Oak battled for the 2016 title to a 5 set thriller ending with Red Oak outlasting Prosper 22-20 in a 15 point match deciding 5th set. The highly anticipated rematch this morning did not disappoint as Prosper edged out Red Oak in a steamy 3 set battle (23-25, 25-19, 15-11) Another great match of the day was between the two new-comers, Rockwall and Allen - White. They split the first two sets (27-25, 16-25, both their 1st wins of the season) with Allen-White winning the 3rd set over Rockwall 16-14 with each team serving for match point. Next weekend we do it all over again with 2 more new teams having their season debut. Good luck! RED OAK WINS 2016 STATE TITLE! 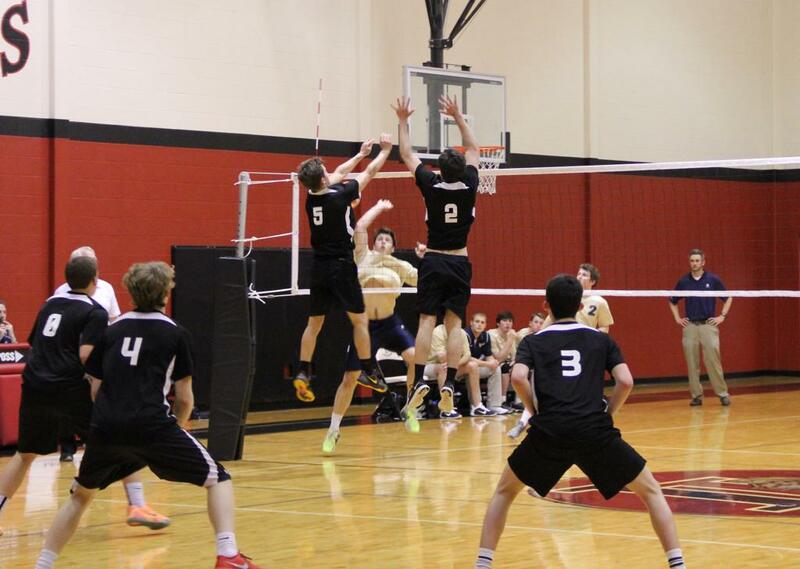 Red Oak triumphs over Prosper in epic five set title match. May 12, 2016 (Red Oak, TX) - No one could have anticipated the unforgettable battle that culminated in Red Oak’s come from behind 5-set, extra point win to claim the 2016 TBVVL State Championship. During the regular season, Red Oak dispatched of Prosper in straight sets in both of their meetings, leading some to fear a one-sided State Championship match. And as Red Oak jumped out to 15-7 lead in Set 1, it looked like the Hawks were set to cruise to victory in front of a raucous home crowd. But Prosper, led by 2016 Player of the Year, Blake Parrish, had other ideas. Prosper stormed back in the first set to take a 20-18 lead, putting Red Oak on its heels. As would be the storyline all night, Red Oak rebounded with its own rally, stealing the first set from Prosper 25-21. In set 2, Red Oak again stormed out to an early 12-6 lead, only to see it vanish behind strong hitting by junior Blake Parrish and freshman Cody Hare, who finally broke Red Oak’s 5-set winning streak against Prosper, with a 25-21 Set 2 win. Parrish poured in a TBVVL single match record of 33 kills on the evening, adding 16 digs and two aces. Prosper capitalized on its momentum in Set 3, withstanding several long, hard-fought rallies, and consecutive kills and strong serving by Red Oak outside hitter, junior Chris Bugg, to get within a set of the State Title, topping Red Oak 25-22 in the third. Now in control of the match, Prosper silenced the home crowd and appeared to have the match won by racing out to an 18-12 lead in Set 4. With the Red Oak team looking deflated, Red Oak junior middle blocker, Brock Houston, reignited his team and the crowd with arguably the play of the night—a violent spike over the Prosper block that ended up connecting with the head of a Prosper defenseman for a dramatic kill, sending the home crowd into a frenzy. Red Oak senior, Raymond Wilson, continued to charge up the Hawks with key blocks and kills of his own late in the set, leading to an emotional rally that saw Red Oak outscore Prosper 13-4 to close out Set 4 and send the match to sudden death in a fifth and final championship set. Those expecting Prosper to fold after Red Oak’s dramatic Set 4 comeback would be disappointed. Despite falling behind 12-10, Prosper powered back, rallying to a 14-13 lead and a serve for championship point. With their backs against the wall, Red Oak immediately sided out and fought through another match point to jump to a 17-16 lead and its own chance for match point. Those looking for drama left home happy, as both teams displayed remarkable resiliency and heart, as the title bout saw 7 total match point attempts, before Red Oak sealed the victory with a dramatic block by Red Oak senior outside hitter Trenton Lee to send fans streaming onto the court in celebration of Red Oak’s first boys’ volleyball state championship. Chris Bugg led Red Oak with 12 kills, followed by Jake Latimer with 11 kills. Ryan Bridgford quarterbacked the offense with 33 assists. In addition to Parrish’s 33 kills, Prosper’s Cody Hare added 16 kills and 6 blocks, followed by Ian Trautman with 13 kills of his own. Jackson Lloyd and Daniel Trautman split setting duties for the Eagles, contributing 33 and 22 assists, respectively, to the valiant Prosper effort. Both teams will be among the favorites next season, with the bulk of both rosters set to come back in 2017. May 7, 2016 (Dallas) - Despite entering Saturday as the favorites, both the Red Oak Hawks and Prosper Eagles battled through stiff competition to secure their ultimate meeting in the 2016 TBVVL State Championship, to be played Thursday, May 12th at 7:00pm at Red Oak High School in Red Oak, TX. Both Red Oak and Prosper prevailed in respective hard-fought three-set semifinal matches. Red Oak faced off against a red hot Jesuit team who had hours earlier handed Red Oak its second loss of the season. Allen rode the League's longest win streak into its semifinal with Prosper. Allen took the first set and appeared to have the second set and State Final berth in hand, before Prosper stole the momentum to close out the match. Red Oak, as the League's top seed, will host the State Championship match in its home gym Thursday night. The title match will be the third meeting between Red Oak and Prosper this season, with Red Oak prevailing in straight sets in the preceding two matches. May 3, 2016 (Dallas) - After two weekends of volleyball, this is much is clear—the level of play in TBVVL has never been higher. League newcomer Red Oak High (Red Oak, TX) jumped out in week one as the class of the League, surprising preseason favorites Jesuit (Dallas, TX) and Prosper (Prosper, TX) with an undefeated record in round robin play. 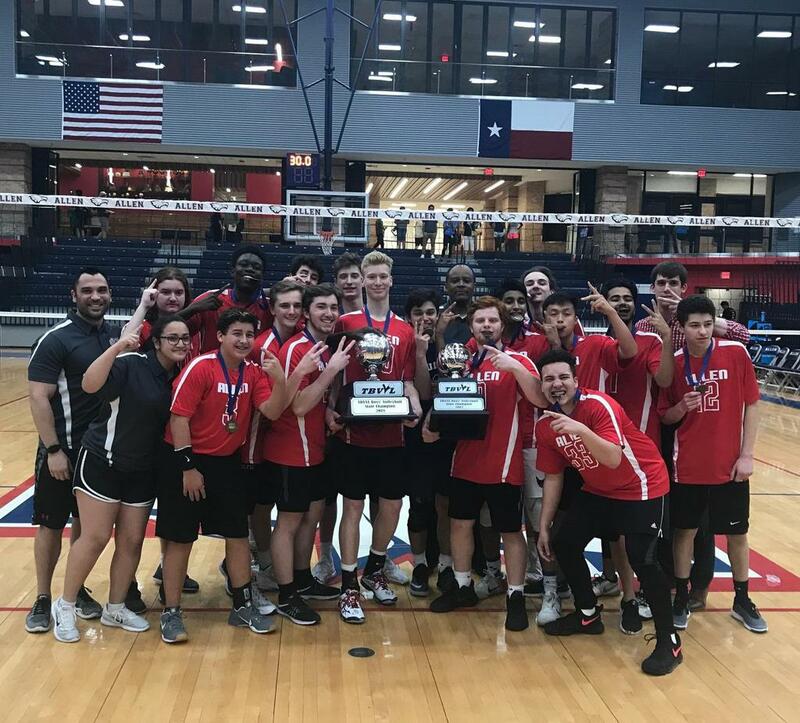 Last Saturday, fellow newcomer, Allen High (Allen, TX) returned the favor by surprising Red Oak in a thrilling three-set upset, restoring Allen's hope and leaving Red Oak tied with Prosper for the best record going into the final weekend of the 2016 season. The teams will complete round robin competition this coming Saturday, May 7 at Willow Springs Middle School in Lucas, TX, with the TBVVL State Championship to be determined next week. Have questions about the 2016 season? Please check out our League Format page! The 2016 Season is set to begin after Spring Break, with competition beginning in early April. Team registration for the upcoming 2016 Season is now LIVE. Do you have a place to practice? Do you think you'll have at least 6-8 players? ​If you have these three, you're READY! Not quite there? Compete in TBVVL as a free agent! $100 registers you individually for an entire season in the TBVVL Open Division. Contact us and we'll help you get ready in time for a successful season! LOVEJOY WINS INAUGURAL 2015 STATE TITLE! 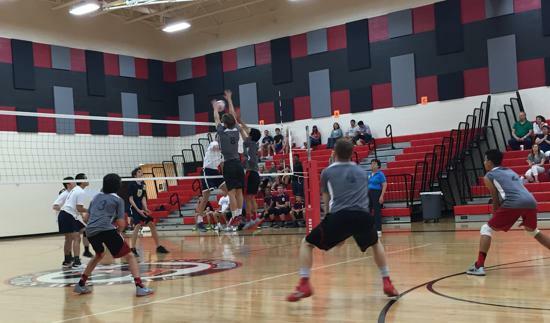 HIGH SCHOOL BOYS' VOLLEYBALL IS IN TEXAS! ©2019 Texas Boys Varsity Volleyball League / SportsEngine. All Rights Reserved.